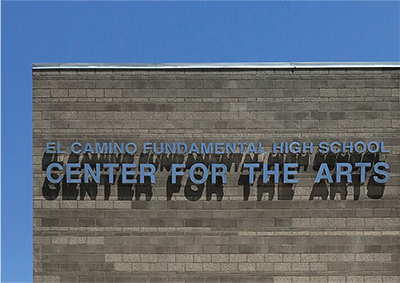 The New Center for the Arts was envisioned by the school community to be an iconic structure that would serve as the home of the school’s nationally recognized music program, and as a venue for performances as well as academic and student body gatherings. The school and local community arts advocates have dreamt of a new Center for the Arts for years. Meanwhile, the school has used limiting cafeteria space and rented church venues for its performances. Now, students to realize their full potential in a brand new state-of- the-art venue. The Unschool project’s goal is to prototype a new high school model that supports students through passion-based learning to co-create their instruction and co-design their indoor and outdoor environments. Fully renovated & enlarged building includes new dining, learning, meeting, event & outdoor areas for student, staff & community use. 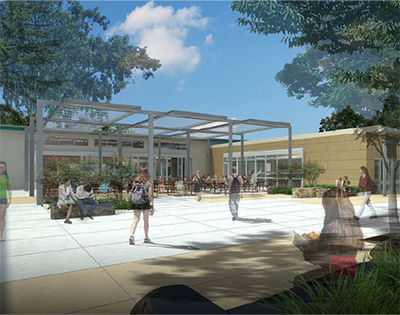 This project provides a vibrant place that offers indoor & outdoor connection as the hub of the campus. 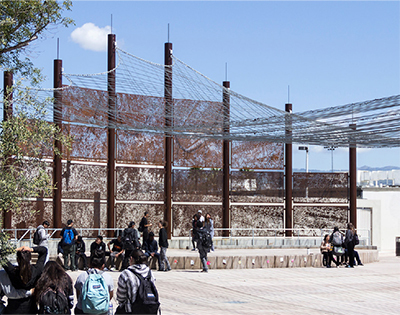 Existing courtyard was transformed into an urban campus park that supports spirit rallies, assemblies, theater performances, concerts, and outdoor learning. Unique materials and finishes were used to include options for shade when needed. The student union project is a “paradigm change” that unites students, staff & administrators in human-centered environments that reshape the culture and create a hub for academic, social, and community inspiration. 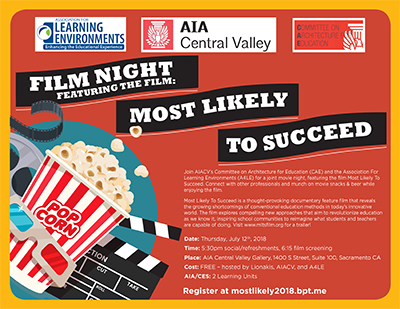 Film Night Featuring the Film: "Most Likely to Succeed"
Join AIACVs Committee on Architecture for Education (CAE) and the Association for Learning Environments (A4LE) for a joint movie night, featuring the film Most Likely to Succeed. Connect with other professionals and munch on movie snacks & beer while enjoying the film. Most Likely to Succeed is a thought-provoking documentary feature film that reveals the growing shortcomings of conventional education methods in today’s innovative world. The film explores compelling new approaches that aim to revolutionize education as we know it, inspiring school communities to reimagine what students and teachers are capable of doing. Visit www.mltsfilm.org for more information! Join us for a tour of the renovated C.K. McClatchy High School theater. Since 1937, MHS has been the Sacramento City Unified School District's central campus serving multiple generations of Sacramento families. 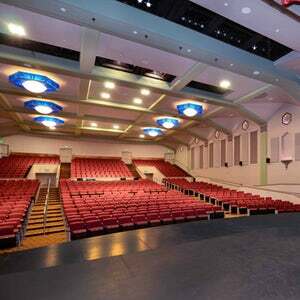 The modernization of the theater and adjoining Visual and Performing Arts classrooms is intended to elevate the arts, engage more students, and attract new interest for the school. The event will be followed by a hosted Networking Mixer and Dad's Kitchen, 2968 Freeport Boulevard, Sacramento. Learning environments have up to a 25% impact on students’ learning, however you don’t need a new building to have flexible, adaptable learning environments for collaborative learning. Come join us for tours of two elementary schools, followed by a social networking event. We encourage you to include your emerging professionals – this is an excellent opportunity to see a newly constructed elementary school and rebooted classrooms at an existing campus. 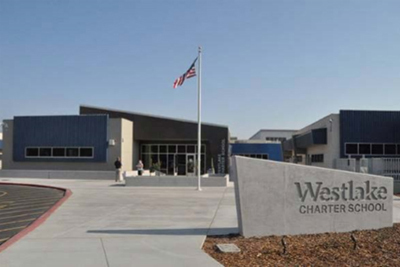 Westlake Charter School operated from two separate campuses, consisting entirely of portable classroom buildings. The new 84,000 SF facility provides a permanent school to combine all K-8 students to one location. The organizational model of the campus promotes cross-pollination between classes and age groups, creating common areas to encourage a sense of community. 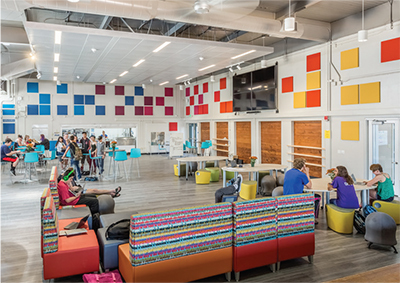 While traditional spaces are provided, additional flex spaces, outdoor learning areas, and multipurpose rooms create opportunities for the student to engage in small, medium, and large group activities. 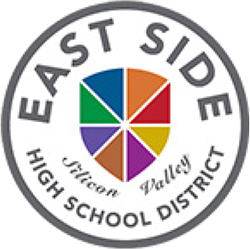 Natomas USD listened to their community and Paso Verde Elementary School opened it’s doors at a interim campus to focus on science, technology, engineering and arts. Learning environments have up to a 25% impact on students’ learning, however you don’t need a new building to have flexible, adaptable learning environments for collaborative learning. 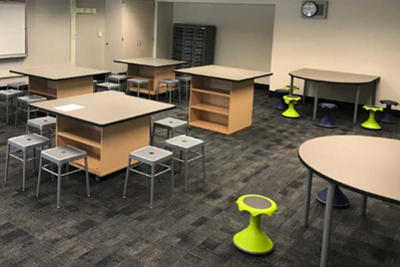 A Learning Environment Implementation team will be present to guide you on building connections between new furniture and existing initiatives while demonstrating how learning environments support effective learning experiences. 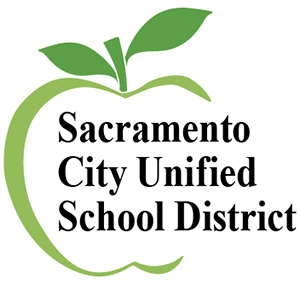 Join us as we hear from the Chico Unified School District on their plans for implementation of their upcoming bond program. 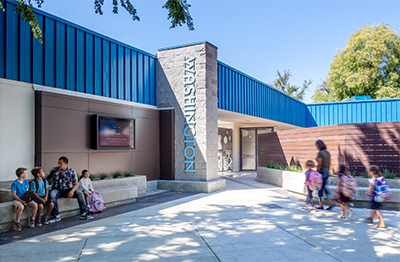 They will discuss their master plan – their grade level reconfiguration that drove many of their projects – as well as current projects in-design. 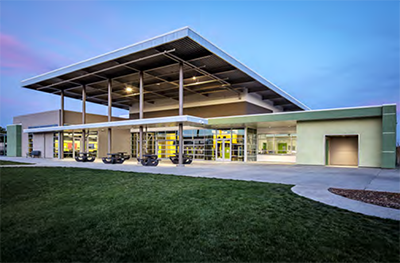 We will meet at and tour one of their recently completed projects, Marsh Junior High School. The event will be followed by a hosted Networking Mixer at Sierra Nevada Brewery, 1075 E. 20th St, Chico, CA, where we will hear from the brewery’s sustainability director on Sierra Nevada’s commitment to sustainability. 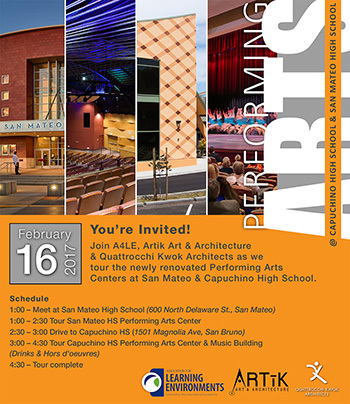 Join the Association for Learning Environments, Artik Art & Architecture & Quattrocchi Kwok Architects as we tour the newly renovated Performing Arts Centers at San Mateo & Capuchino High School. 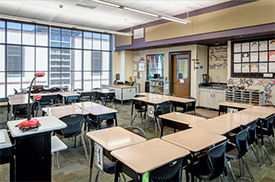 Before reopening as a STEAM academy, Washington Elementary needed a facilities refresh to support its hands-on, project-based curriculum. The resulting flexible, open environments provide students with a variety of learning opportunities that allow them a degree of choice over how and where they engage in their lessons. 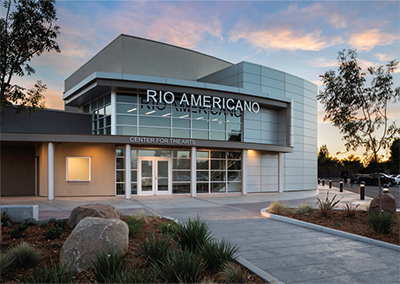 The Northern California/Nevada Chapter of the Association for Learning Environments is hosting a Holiday Social to celebrate the kick off of 2017.As professionals who collaborate with those who use, plan, design, construct, maintain, equip and operate educational facilities, we are afforded an opportunity to improve and support the educational infrastructure of our communities. We are pleased to have Jeff Vincent, from the Center for Cities and Schools, to share the national work they are performing relative to “Planning for PK-12 Infrastructure” and how all of us should consider leveraging the funds available from the passage of Prop 51 in California or WC-1 in Washoe County, Nevada, to support this goal. We are all champions in our mission to improve the places where children learn. Let’s come together to celebrate and discuss what it is going take to carry this vision forward. Please join the San Francisco Public Utilities Commission, San Francisco Unified School District and Green Schoolyards America for two exciting public events that explore the potential of living schoolyards as powerful stormwater management tools. We are thrilled to welcome renowned landscape architect Birgit Teichmann, from Berlin, Germany to be our keynote speaker and share her expertise about living schoolyard design for stormwater management. Birgit Teichmann, GmbH, is a landscape architect with a strong stormwater engineering background (Landscape Management Engineer, FH) and expertise that blends spatial planning with social work and youth engagement. She has been working in the landscape architecture field in Berlin, Germany for more than 20 years and is the founder of Teichmann Landschafts Architekten, a firm with extensive experience designing school grounds with integrated, child-friendly stormwater infrastructure. Join us for a tour of the new STEAM focused Sylvan Middle School followed by a hosted happy hour and networking event! We encourage you to include your emerging professionals. This is an excellent opportunity for them to see current work in our industry and do some networking as well. Students will conduct the school site tours. We will also hear from the educators that are charged with implementing the STEAM curriculum – their lessons learned and the impact of their new space in that evolution. 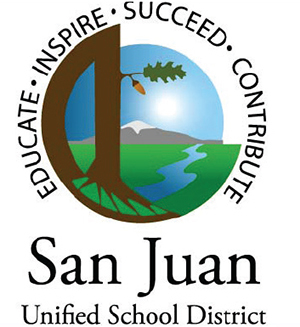 District personnel will be on hand to discuss San Juan Unified School District's upcoming bond issue as well. Tours of two community new college projects on the same campus, followed by a hosted happy hour and networking event! Complimentary lunch will be provided, this is a free event! 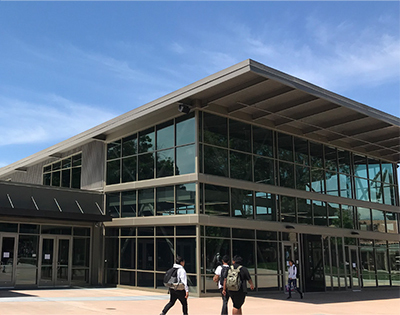 Elk Grove Unified School District and Rainforth Grau Architects will profile their Dillard Elementary School, a sensitively designed replacement project. In addition, Campbell Keller will open their Education Furniture Showroom for a tour and presentation on current research in the furniture industry. Complimentary lunch will be provided by the Association. This is a no cost event.